2nd Annual No Candy Pledge: I Dare You! 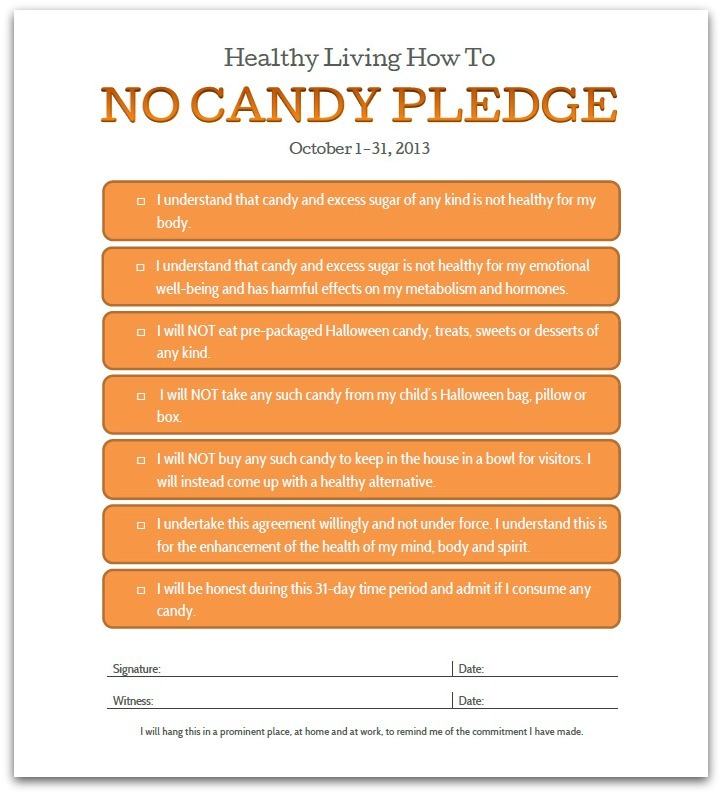 Let’s start the holiday season off with a commitment to living healthy in mind, body and spirit with a NO CANDY PLEDGE! During the month of October make a commitment to your health to just say no to pre-packaged Halloween candy, sweets, treats and desserts. Print off the pledge, read it, sign it and then post it in a prominent place. Using the Rafflecopter widget below, say “YES” to the pledge. Each successful day, come back and enter in the Rafflecopter widget for additional entries (we are using the honor system). A maximum of 32 entry points can be earned. At the end of the pledge a winner will be randomly chosen, however, the more entries you have the better your chance to win. Speaking of which, the winner will receive a $250 Amazon e-mail gift card — just in time for holiday shopping. Click on the image below to download the pledge, print off the pledge, read it, sign it and then post it in a prominent place. I am using Rafflecopter, a reputable resource for online give aways. After logging in using Facebook or your e-mail, simply answer the question “Do you pledge?” with a “Yes” and you have earned an entry. Each successful day between October 1 – 31st, be sure to come back to Healthy Living How To, enter the Rafflecopter and claim your daily entry point. The NO CANDY PLEDGE winner will be announced right here on November 1, 2013. 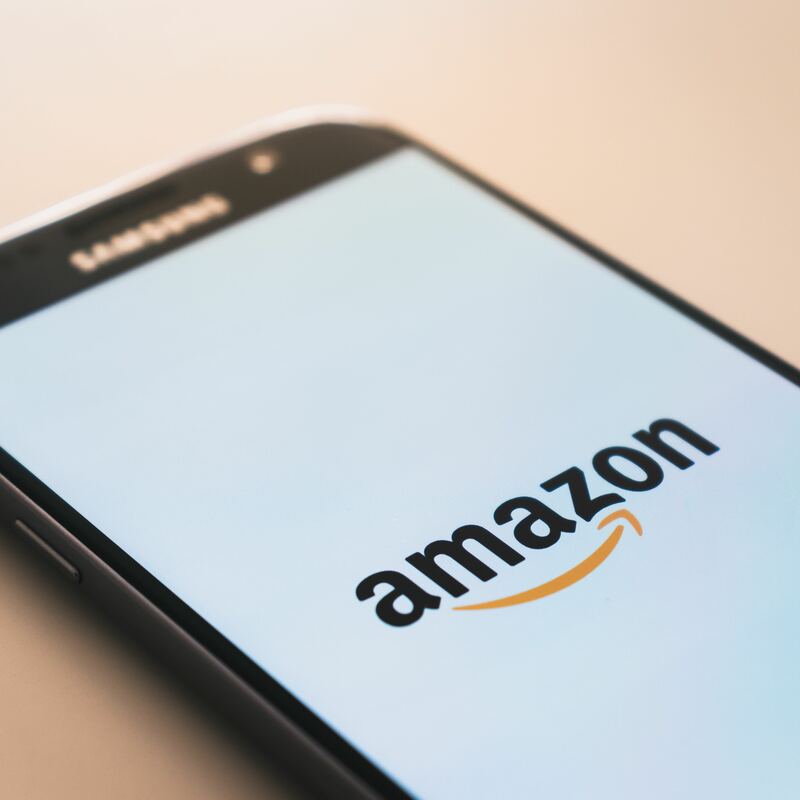 The winner will have 24 hours to claim their prize — a $250 Amazon e-mail gift card. Congratulations to everyone who took the pledge! You have until 8 am Saturday November 2nd to contact me to claim your prize.